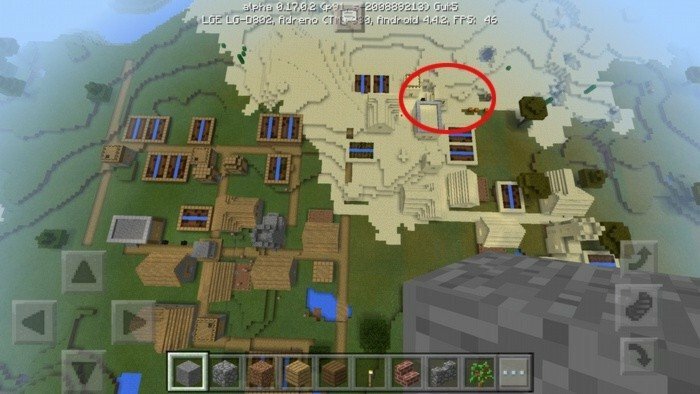 This seed is the shortest way to find a stronghold, which has been added in Minecraft 0.17.0 Pocket Edition. Actually you can find it on earlier versions of the game, but whats the point if there is not gonna be a portal to End, there. To make use of this seed, you'll need to be beta tester or have to wait until 0.17.0 will be released. 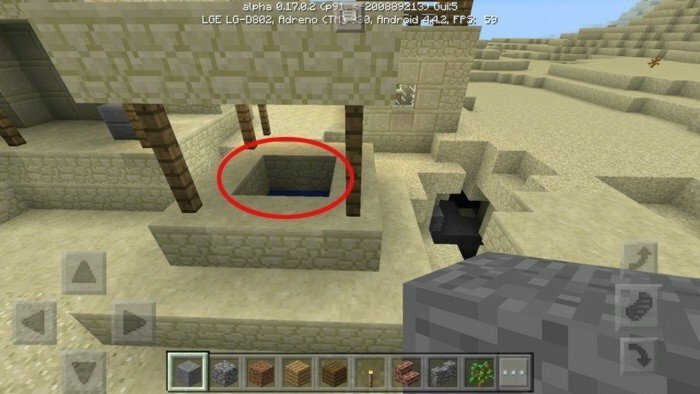 You will spawn at two villages located near by, go to the desert village and find the well, go into it and dig down, until you fall into the stronghold.